Are You Eligible For The Citi AAdvantage Executive Card? Yesterday I wrote about how the $450 annual fee Citi® / AAdvantage® Executive World Elite™ Mastercard® has a new increased welcome bonus. The card seems to have a public increased bonus an average of once per year or so, and I picked up this card last year during the same promotion. This is American’s most premium co-brand credit card, and one that I personally find to be very worthwhile. The primary draw of this card is that it offers an Admirals Club membership. Ordinarily the lowest cost for an Admirals Club membership is $450 per year, and that assumes you’re an Executive Platinum member. So that already makes the card worthwhile for someone who is interested in a membership. The icing on the cake here (and this is a massive amount of icing) is that you can add up to 10 authorized users at no additional cost, and they get Admirals Club access as well. It’s almost like a “buy one, get 10 free” offer, and thanks to this benefit, many of my family and friends have Admirals Club access as well. At the moment the card is offering a welcome bonus of 75,000 AAdvantage miles after spending $7,500 within three months, which is typically as good as it gets. What is Citi’s 24 month rule? A couple of years ago Citi expanded what’s commonly referred to as the “24 month rule.” Essentially this prevents you from earning the welcome bonus on some Citi cards if you’ve opened or closed a particular card in the past 24 months. Not only that, but a while ago this was expanded so that you couldn’t get the bonus on a card if you’ve opened or closed a card in that same “family” of cards within 24 months. So let’s look at the impact this has on the Citi AAdvantage Executive Card. What are the restrictions on the Citi AAdvantage Executive Card welcome bonus? American Airlines AAdvantage® bonus miles are not available if you have had any Citi® / AAdvantage® card (other than an AAdvantage MileUp℠ or CitiBusiness® / AAdvantage® card) opened or closed in the past 24 months. Furthermore, I should note that being an authorized user on the card doesn’t preclude you from getting the card yourself (and earning the associated welcome bonus). The most important thing to understand is what’s meant by the “opened or closed” language. This refers specifically to the action of opening or closing a card, and doesn’t include having a card open (as I’ll illustrate below). As you can see based on the terms, eligibility for personal and business cards is unrelated, so having a business card has no bearing on whether or not you’re eligible for the personal card, and vice versa. You’re eligible for the business card as long as you haven’t opened or closed that card in the past 24 months, and don’t currently have it. You’re eligible for a personal card as long as you haven’t opened or closed any personal Citi AAdvantage Card (with the exception of the no annual fee MileUp Card) in the past 24 months. In other words, you could apply for the Citi® / AAdvantage® Executive World Elite™ Mastercard® now, and then apply for the CitiBusiness® / AAdvantage® Platinum Select® World Mastercard® in 8+ days, assuming you haven’t picked up another Citi card in the past 65 days. The Citi® / AAdvantage® Executive World Elite™ Mastercard® has an increased welcome bonus, but more importantly, the card is worth holding onto for the unrivaled Admirals Club benefit that it offers. 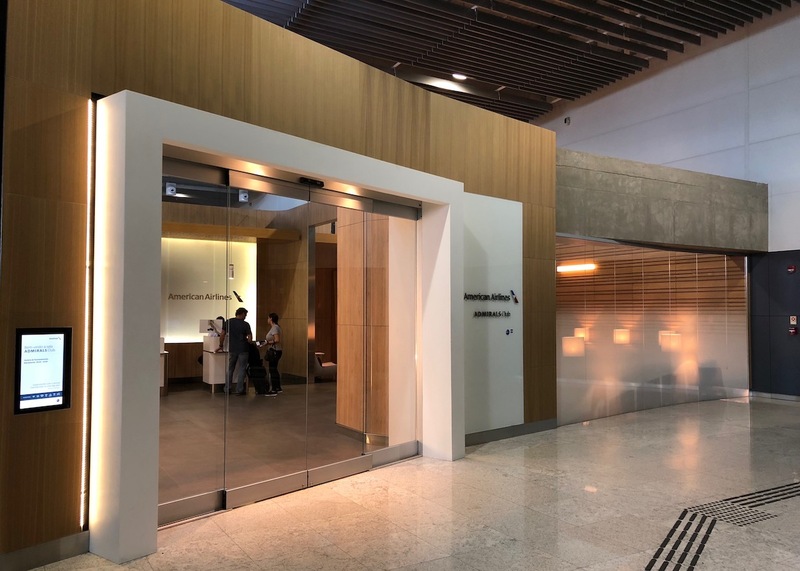 Not only getting an Admirals Club membership, but also getting to add 10 authorized users who get lounge access (along with two guests or immediate family) is an incredible value. Hopefully the above clears up who may or may not be eligible for the card. what about if you are an authorized user? I signed up 12 months ago and my wife is an authorized user. I was going to have her sign up this year and me be an authorized user. Would she be eligible for the bonus? Should she apply before or after closing her authorized user account? Same question has Nick. What about authorized users? @ nick @ Nathan — Being an authorized user on the card has no impact on your eligibility, so nick’s wife would be eligible. That’s a great point, so I’ll update the post to add that. Thanks. Great news, follow up on it. Is that all companies? My wife is a AU on my Amex Platinum as well and I’m looking to get her that one as well. I’ve heard the downgrading also counts the same as opening/closing an account in regards to getting the Signup bonus again. True? You forgot to mention only US citizens are eligible, as I cant see a link on Google for a UK version. @ Nathan — There’s no issuer I know of that won’t give you a card just because you’re an authorized user, so that should be fine with all the major issuers. As far as your second point goes, it depends on the issuer. With Citi I do believe downgrading would qualify as opening/closing the card. You can sign up for personal and business on same day and get approved for both. Several dp amongst friends and family. What if you have multiple business each with its own EIN? Do they determine eligibility by SSN of the person applying or the EIN of the business? I opened the Advantage Platinum World Elite (personal version) in November 2016. I called Citi to ask if they can make an exception and let me apply now as I want the Executive card and am only 3 months away from my 24 month anniversary. Simply put the answer was no. Interestingly the agent didn’t seem to know the rules or the rules changed as she informed me the CitiBusiness counts towards my eligibility as well since I opened the CitiBusiness in May 2017 her statement was I’m not eligible for the Executive personal version until May 2019. Hopefully their rules didn’t change. What type of credit standing do you need to get accepted for this card? I recently moved to the US from abroad so I have essentially a zero credit score. @lucky, it would be great if you could do an article on credit-building/point strategies for recent immigrants. I currently only have a secured credit card. Particularly in my case, I am not planning a mortgage or car loan so my credit-building would be primarily used for credit card access. Thank you! Does Admiral lounge access come with any of the other cards. I apologize in advance if in article and I missed it. So my mom has this card. If she adds me as an authorized user, I can just walk into any admiral’s club? Or, I get my own credit card linked to her account and I have to show the card to get into the club? Hello Lucky, for how long do you think this promotion will run? I closed this card at the end of September, 2016. So just a couple of months away from the 24 months expiry. @ Ryan Yuk — Wish I knew, though I’m not sure. Last year it lasted for a couple of months, so maybe it will last for a similar amount of time this time around. Crossing my fingers for you! @ ryan — She has to add you as an authorized user and then you need to bring the card to access an Admirals Club. @ AliW — Yep, it’s fine to be traveling on another airline. @ David L — Nope, this is the only card that offers an Admirals Club membership. Getting cards for American Airlines Mileage is worthless if you want to use the points to fly on American in business or first class. There are literally no reduced mileage awards available on American for reduced mileage awards to Europe from anywhere in the U.S. through the date in July which is 335 days off. You can typically get a ticket on BA or one of their other One World partners, but their business class doesn’t compare with American’s (British Airways 777, 2-4-2 configuration is horrid and if you are lucky enough to get a flight on one of their 747’s, you have to pay an additional $175 to book a decent seat upstairs to avoid the horrid 2-4-2 seats. Oh, and then there is the approx. $500 tax p.p. if you fly to London), I checked the American Airlines map for the past month which is always having technical trouble when you search business class from any city in the U.S. to Europe (I assume that’s because nothing is available), but works if you check for domestic coach availability. Last year was a bit better. This year is ridiculous. At a minimum you must use 220K points r.t., but more than likely will have to pay 270K r.t. p.p, to fly from the U.S. to Europe on American in business. That is 540K miles for a couple. This is a pretty impossible goal to reach even when getting 60K bonus miles per credit card. I now wish I had logged my 2M miles on other than American, especially now that it merged with U.S. Air. Being a permanent platinum member sure isn’t anywhere it used to be. Getting an upgrade, using upgrade certificates, which is virtually non-existent. If this card is so good why would friends and family need your club membership access. They should each have this card themselves 🙂 seriously I have had this card a few years since the 100k signup days. If you fly much It’s a great deal for club access. What @J. SHINE said. Sort of. This summer I was able to get 2 x 57,500 miles RT J to Europe … with time and flexibility (i.e., took some cheapo flights within Europe to get where actually needed to go). Without that, your goose is cooked, and it looks like even with it, we’re all cooked now, since there really isn’t any availability. Which means that AA RT in J really is 220,000 miles RT these days, plus award fees and opportunity cost for not getting EQMs and EQDs on paid J. Of course, the other bad news is that paid J flights that were in the low $2000s are few and far between, too, which I guess would mean that in some bizarro world the AA miles are worth more than a penny a piece. But they’re not (because if you read this blog and comments like this one, you’re never going to pay $3,000 and north for a J RT to Europe). They’re worth a penny at most, and they don’t trade well. So while, say 70,000 miles on the business card is probably worth a real $700, which is nothing to sneeze at, don’t imagine that you are going to fly you and yours to Europe in J for $700.